Based on the IET Code of Practice that governs PAT testing in the UK, the course is designed to ensure that candidates get the competency needed to be able to carry PAT testing in line with the regulations. Our PAT course lasts for one day from 9AM to 4PM. 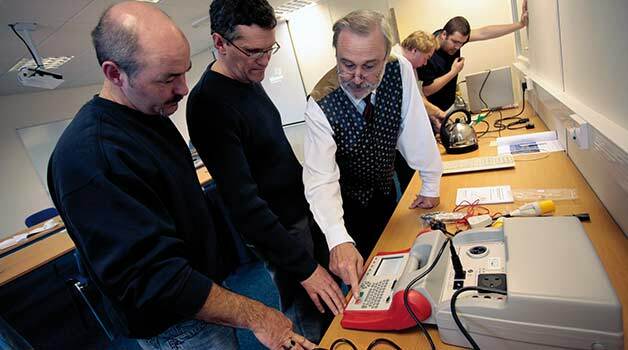 Anyone can attend our PAT testing course; no formal electrical training is required to become a PAT tester. This course is open to everyone. There are no requirements for this course other than a desire to learn more about PAT testing. We recommend reading the IET Code of Practice before attending this course, but this is not an absolute requirement as full training will be provided on the day. Ideal for those in Carlisle and cumbria, our PAT competency course will give you the skills and qualifications you need to start PAT testing with confidence.